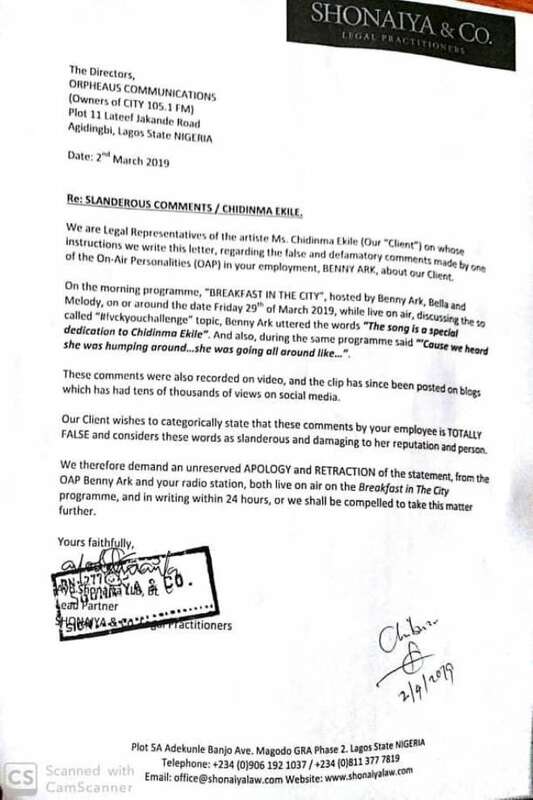 Nigerian songstress, Chidinma has written a letter through her lawyers, to City FM in Lagos demanding a public apology and retraction of ‘defamatory’ statements. 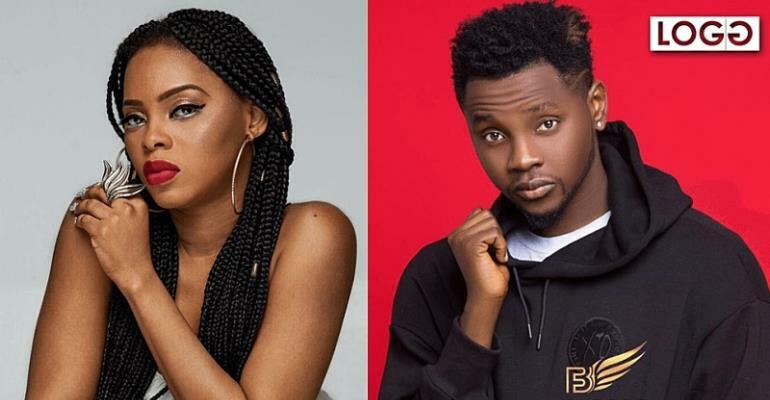 On-air personalities who said the viral Kizz Daniel ‘Fvck You’ song was about Chidinma and that the singer humps around. 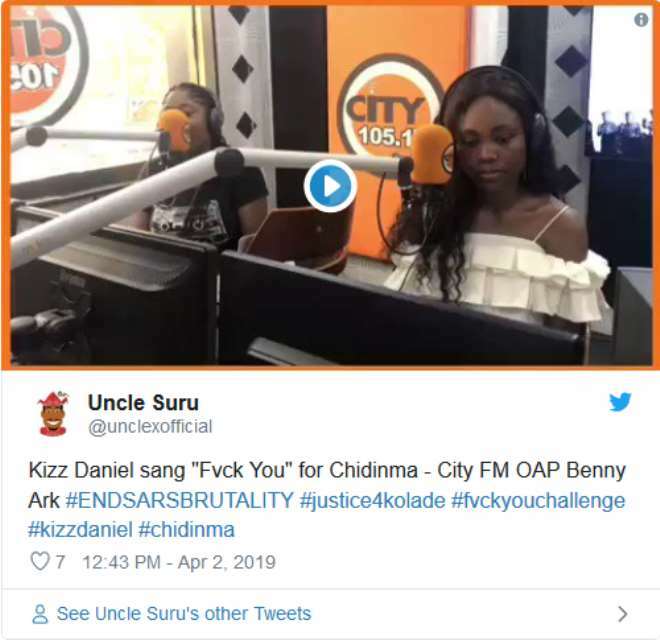 The Nigerian OAP identified as Benny Ark recently made some claims about singer Chidinma Ekile on the morning breakfast show of popular radio station, City FM 105.1.